Mayer and Yahoo! – a Match Made in Heaven? On July 24th 2000, the legendary football player Luis Figo shocked the world by moving from FC Barcelona to its rival club Real Madrid – Becoming the first “Galáctico” signing (in that era…). These shocking moves are very rare and exciting in the football world, but they are even more exciting when they are happening the Technology world. 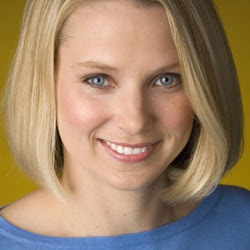 Few weeks ago, Marissa Mayer shocked the Technology world, leaving a high executive position at Google, becoming the CEO of Yahoo! . Mayer, in deed a Galactico, held key roles in Google Search, Images, News, Maps, Gmail, and the list goes on – Which makes you wonder what will be the effect of her departure on Google, and even more – Where she will take Yahoo! . Mark Hurd was the CEO, Chairman and President of Hewlett-Packardbetween the years 2005-2010, and was considered as a “Top Gun CEO”, getting HP revenues and stock rise high. Few months after Hurd’s departure HP announced it would exit the Smartphone and Tablets Business (Remember that), and it contemplated making their PC division into a separate company. Hurd in the meanwhile, became Oracle Co-President, which since then won a lawsuit against SAP, and acquired several big companies in a total amount of Billions of dollars. And HP? They changed another CEO only few months later – Naming Meg Whitman as their new President CEO. Meg, who have done an amazing job at eBay, (Taking the company from a $4 Million dollars company into a $8 Billion one), had a rough start at HP, when the company announcing a profit decline of 31% in the second quarter of 2012, with the growing popularity of Smartphones and Tablets. Remember? Marissa will take Yahoo! up high, making it much more social, implement strategies M&A, looking for new tech collaborations, and giving the company a much more engineering approach. What do you think will be the end of this story?